With polka dots all over and the cursive font, this Easter egghunt flyer conveys a breezy feel of the 70s. 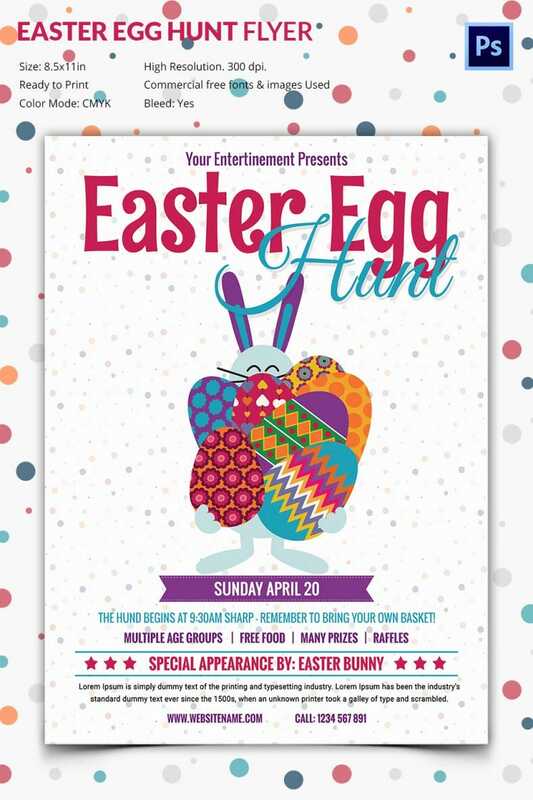 The colorful Easter eggs right at the center of the Flyer has created an appealing and eye-catching contrast against a light background- not to miss out on the blue bunny who seems to have been overshadowed by too many eggs that your guests would love to hunt out in your fun Easter egg-hunt party. 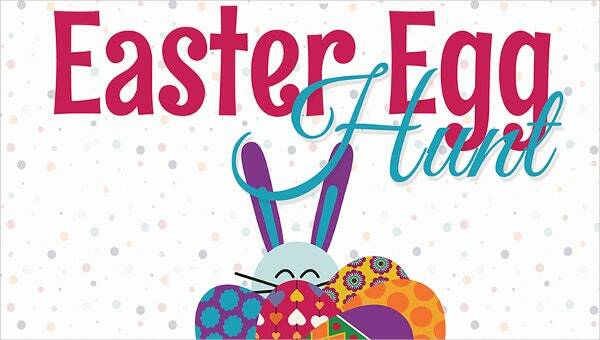 You will include briefs on all the major attractions, happenings and special appearances of the egg hunt below the bunny and the text here is easily customizable.